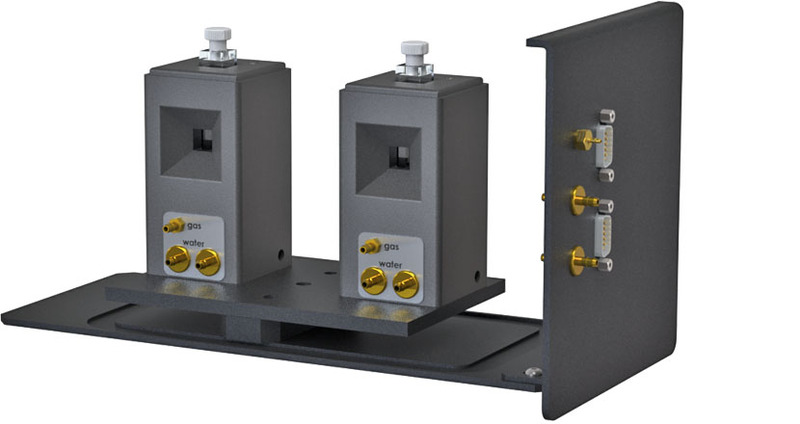 The t2 Sport/Dynamica consists of a pair of cuvette holders, an inexpensive, compact, temperature-controlled cuvette holder in the forward sample position, and an uncontrolled holder for the reference cuvette in the rear. Use it for temperature ranges of about -15 °C to 110 °C. 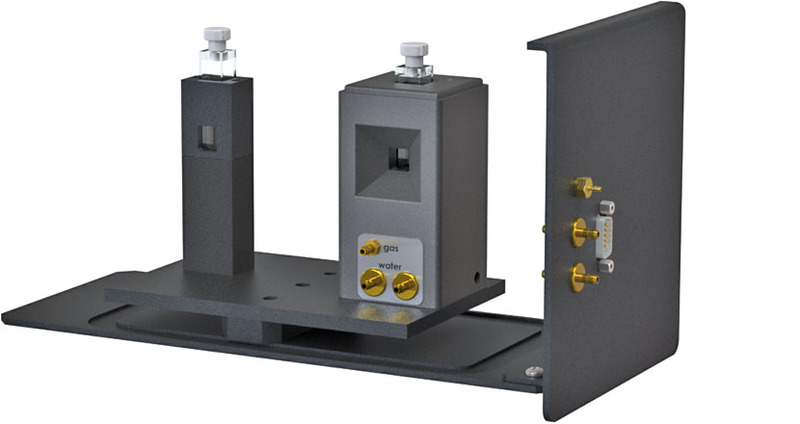 It is ideal for most biological studies, either to observe absorbance spectra at precisely maintained temperatures, or for temperature ramping, to observe how absorbance changes with temperature. 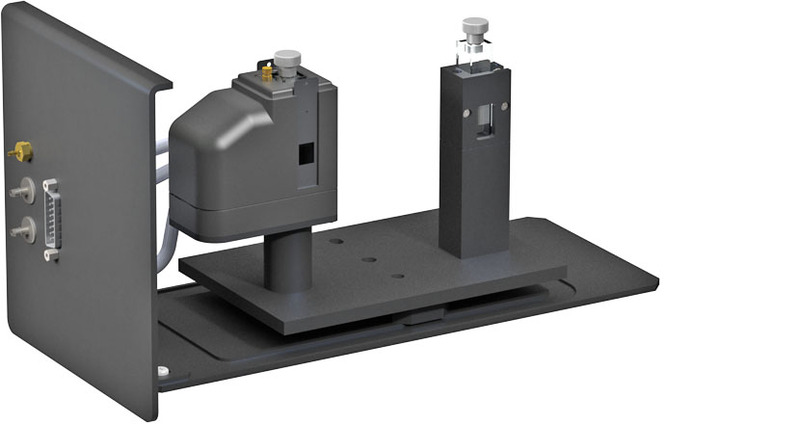 The t2 Sport/Dynamica replaces the sample tray (base and front panel) of the spectrophotometer, with utilities brought conveniently to the front panel. 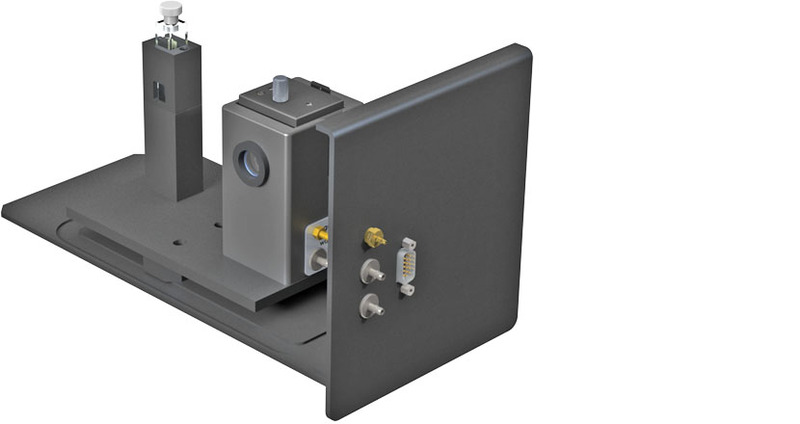 An uncontrolled holder is provided for the reference cuvette. Control temperature through the spectrophotometer software.